We are excited to be able to offer you for hire the latest standards and technology in 24 hour Blood Pressure Monitoring. 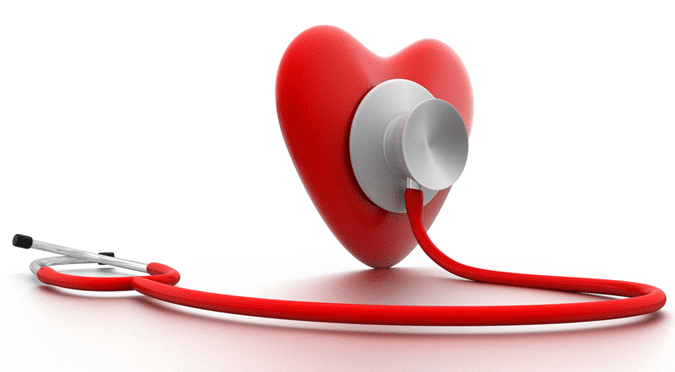 Whilst a quick reading of your blood pressure using a table top blood pressure machine is useful for screening purposes, it is not sufficient for proper diagnosis. One of the biggest reasons for false readings is ‘White Coat’ hypertension; this can occur when having a blood pressure reading taken in a healthcare setting, and can be brought on by the anxiety of having a test performed. 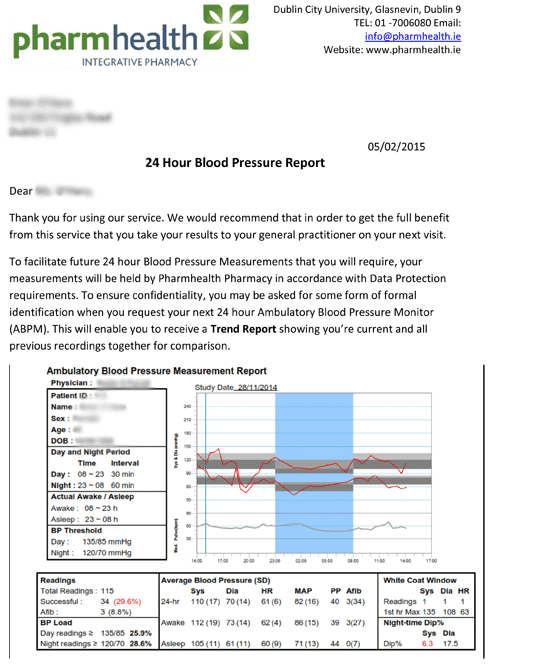 24 hour/Ambulatory Blood Pressure Monitoring (ABPM) is a more reliable measure of your true blood pressure instead of taking random Blood Pressure readings of your Blood Pressure at intervals over the course of a few weeks. ABPM is when your blood pressure is being measured as you move around, living your normal daily life, to show how your blood pressure reacts to different actions throughout the day, e.g. eating, walking up/down stairs, exercising and sleeping. It is normally carried over 24 hours. 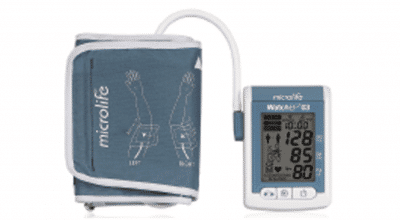 It uses a small digital blood pressure machine (fitted by our pharmacy staff) that is attached to a belt around your body and which is connected to a cuff around your upper arm. It small enough that you can go about your normal daily life and even sleep with it on. The machine then takes blood pressure readings at regular intervals throughout the day: usually, every 30 minutes. You will need to keep the monitor on through the night –it should not have any impact on your sleep. At the end of the 24 hours you can remove the machine and cuff and return it to the pharmacy. The machine will have stored all your readings and these will then be analysed and documentation of your results will be printed and given to you. Why wait? Book your 24 hour ABPM service from Pharmhealth now.